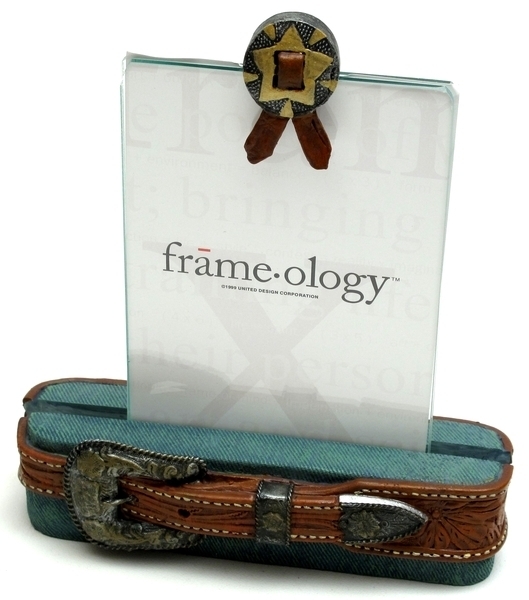 Cowboy Belt Frame - Holds 5 x7 photo. Made of resin and glass. Measures 6 5/8" x 2 1/8" x 7 3/4".